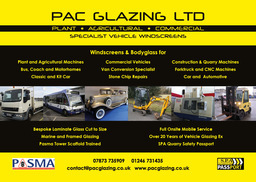 Plant Agricultural Commercial Vehicle Windscreens We are a specialist Vehicle Glazing company. 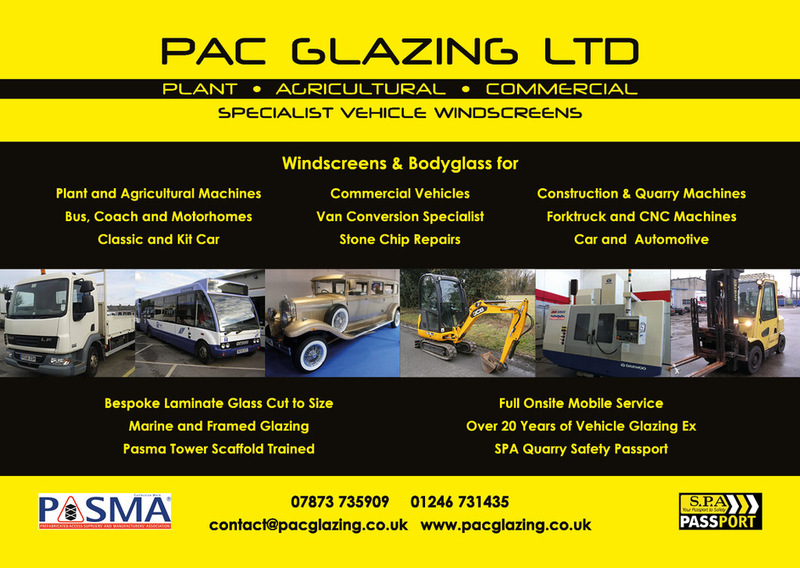 Our services onsite Plant & Agricultural Cab Glazing. We also supply & fit Van & Truck Windscreens full mobile service. We are SPA safety passport trained & PASMA Tower scaffold trained for safe working and Quarry safe compliant.